RUSH: I should say I’ve been keeping track of this at PJ Media. AARP is not happy with David Plouffe’s tweet about Woodward being too old to do his job well anymore. They are not happy about it. There’s nothing they can do about it but they’re not happy about it. Woodward is the first guy to actually draw blood from this regime in five years — and that, the regime doesn’t like. Our old buddy Ron Fournier at the National Journal has a piece about this, and he said you people are being bamboozled if you think this is about threats. This is Ron Fournier writing this! This guy’s a former lapdog. Anyway, his point here is that this Woodward flap is a distraction that the White House is encouraging as part of a PR strategy to emasculate the Republicans and anybody else that challenges Obama and that, “It is a distraction that briefly enveloped my reporting last weekend, when I essentially broke ties with a senior White House official,” meaning he now identifies him. Now, Fournier’s close here. This is about emasculating the GOP. I don’t know if he gets it. Maybe he does. This is about making sure the GOP gets blamed for everything — and, see, that’s where Woodward went off the reservation. That’s what I think everybody’s missing. Everybody thinks that Sperling is mad at Woodward for writing that the regime is moving the goalposts — meaning: “Making it impossible for there to be a deal,” which the White House does not want. 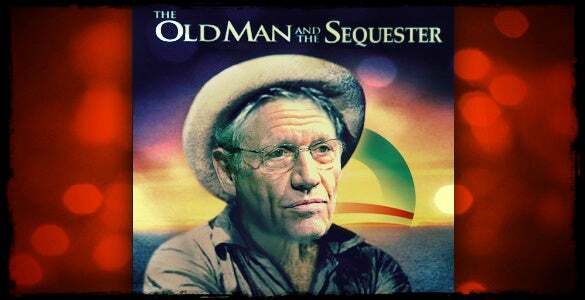 I think what they’re really mad about is that Woodward is telling everybody that the sequester was Obama’s idea. That’s what undercuts the regime. The regime’s whole premise is based on making people think this is a Republican idea — and here is Mr. Watergate Emeritus, Mr. Beyond Reproach, Mr. Credibility, Bob Woodward, saying, “No, no, no! The president came up with this idea,” and he’s written it two or three times. The public blames the Republicans. It’s been a successful campaign. That’s why they’re mad at Woodward, because Woodward’s out there saying that it’s not the Republicans. It’s Obama who did this. Obama is not interested in an agreement with the Republicans. Ever! That would undercut the entire modus operandi, because when he comes to an agreement on anything, that means his name is on it. That means whatever happens after that is tied to him, in part, and that’s what he does not want now. Because what’s ahead of us is more disaster. That’s got to be seen as the Republicans’ fault, and theirs alone. That’s the strategy. The immediate thing it’s about is the continuing resolution fight at the end of March. The next thing it’s about is the 2014 midterms. The next thing it’s about is eliminating the Republican Party as a viable opponent. That’s the agenda here, and that’s why there isn’t gonna be any agreement with the Republicans on fixing anything. OBAMA: This is not a cliff, but it is a tumble downward. It’s conceivable that in the first week, the first two weeks, first three weeks, first month, a lot of people may not notice the full impact of the sequester. But this is going to be a big hit on the economy. CARNEY: It’s our responsibility to be upfront about the fact that you cannot responsibly cut $85 billion out of the budget in seven months without having — in… in the way that the law has designed — without having dramatic effects on, y’know, the defense industry and civilian defense workers, on our national security readiness, or teachers, uh, on kids in Head Start. That’s just a fact. What the president said last night is that — what other people have said is that this will be a rolling impact, an effect that will build and build and build. CARNEY: It would be a responsible thing to ask that question in the context of the full e-mail since we know what the full e-mail said. (soft tone) Where Gene Sperling was incredibly respectful, referred to Mr. Woodward as his friend, and apologized for raising his voice. I think you cannot read those e-mails and come away with the impression that Gene was threatening anybody. The point that Gene was making is a point that I’ve made and others have made and the president has made. This is really important policy, and one thing that is absolutely irrefutable is that the president, from day one of signing the Budget Control Act, has been absolutely clear that in dealing with deficit reduction going forward, he believed we had to have balance. You’d have to have your head in the sand not to know that! RUSH: Bob Woodward has his head in the sand. Bob Woodward’s head was in the sand. RUSH: What a load of absolute drivel. CARNEY: — middle-class Americans, average Americans, uhhh, and he’ll continue to do that. Look, I have enormous respect for, uhhh, the work that Bob Woodward is famous for. (pause) You know, we had a factual disagreement, uhhh, that I think, you know, we stand by. RUSH: (translated) “We stand by the Plouffe tweet. Woodward is an aging dinosaur who isn’t any good anymore and his head’s in the sand. I used to respect the stuff he did in the last century back during the founding. Woodward was really good back in the 1800s, Ed, but no more. He’s lost it — and, by the way, Sperling? This guy works 20 hours a day on the economy, trying to improve the American people’s economic lives!” Sperling yelled at Woodward for a half an hour before that e-mail was sent. Sperling was yelling at Woodward, according to Woodward. Before Carney became the White House press secretary, I guarantee you that Woodward was one of his heroes. Ah, I know he’s got a job to do now. He’s gotta get up there defend Obama. By the way, Ron Fournier, that he’s where he said everybody’s misguided by this. Let me read to you how Ron Fournier ended this piece about the Woodward business. Listen to this: “This can’t be what Obama wants.” Oh, no-o-o! Obama “must not know how thin-skinned and close-minded his staff can be to criticism.” So, not only Woodward, but now the Ron Fournier says: Boy, Obama, this can’t be what he wants. He doesn’t want his guys threatening reporters. This can’t possibly be what he wants! You know, Obama really ought to look into how thin-skinned some of his staff is. The “thin skin” is Obama who has led a charmed, protected life — and if anybody can’t deal with any criticism, it’s Obama. I’m sorry. It’s the way it is.